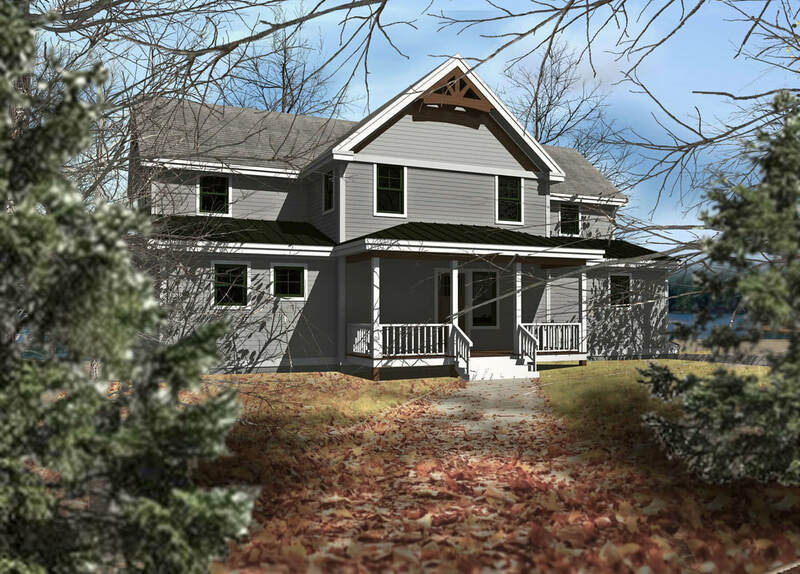 FAIRLEE LAKE HOUSE - (A00128) 2,680 sq. ft.
With 2,680 square feet, this lakeside cottage has an open kitchen, dining and cathedral great room that all share the beautiful views of the water. 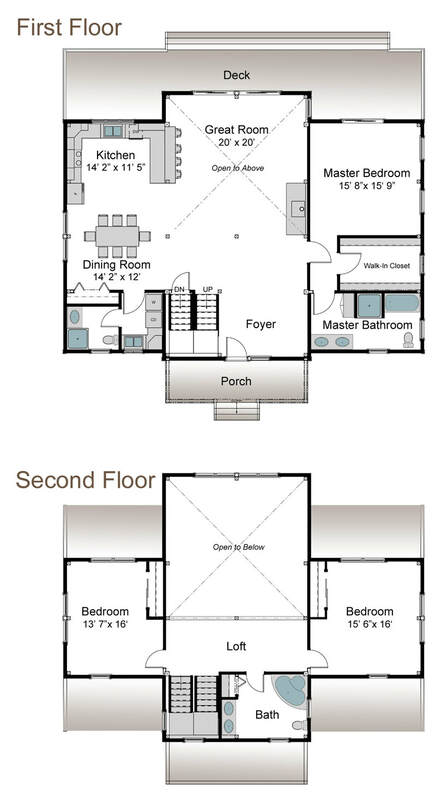 A master suite is located on the first floor and includes a large walk-in closet. Two more bedrooms are located on the second floor and are connected by a balcony overlooking the great room.